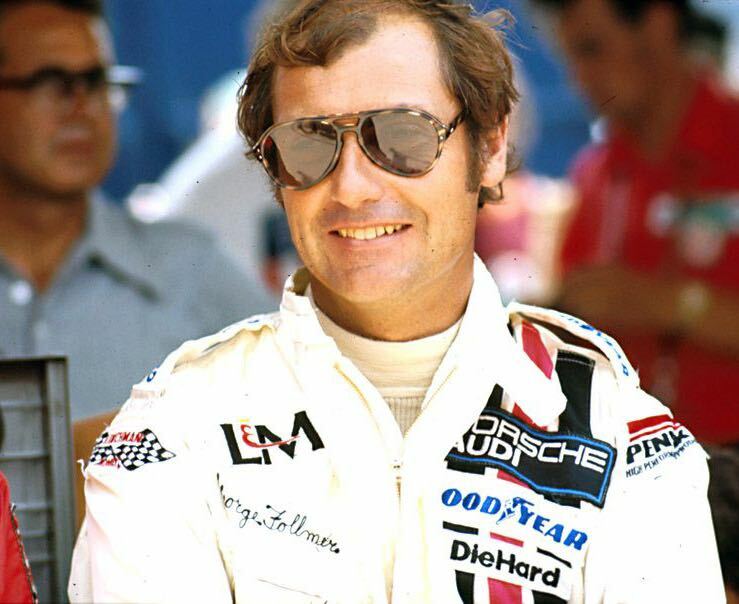 Racing legend George Follmer was named Grand Marshal for the Sonoma Historic Motorsports Festival, scheduled for June 2-5, 2016 at Sonoma Raceway Sears Point in Northern California’s wine country. The Sportscar Vintage Racing Association (SVRA) event will also use the occasion to mark the 50th anniversary of both Trans-Am and Can-Am racing. The 2016 Sonoma Historic Motorsports Festival is an SVRA “Gold Medallion” event and features cars restored to standards of authenticity. The Historic Trans-Am group will again be showcased — and raced — with their full field of machines. Many of these cars were once driven by legends such as Parnelli Jones, Dan Gurney, Mark Donohue and Follmer. Follmer was not only Trans-Am champion in 1972 but also picked up a second title in 1976. In 1972 he drove an AMC Javelin to four victories and won two races for Porsche during the 1976 Trans-Am season. The three-time Indianapolis 500 starter won the Can-Am championship in 1972, driving Roger Penske’s Porsche 917/10 to five wins. He also finished second in the 1974 Can-Am championship driving the popular UOP Shadow. Prior to that he was, in 1965, the SCCA United States Road Racing Champion and in 1970 the SCCA Formula 5000 Continental Champion. Follmer is also known in Trans-Am lore as Parnelli Jones’s teammate in Bud Moore-prepared Mustangs during the 1969 and ’70 seasons. Beyond SCCA and Trans-Am, Follmer drove in Formula One for the American-owned UOP Shadow team to score a podium finish in the 1973 Spanish Grand Prix. In 1974 he won an International Race of Champions (IROC) race at Riverside and in 1969 won the Indy car race at Phoenix International Raceway. He also competed at the highest level of NASCAR in 1974 to score three top-five finishes and a pole position at Riverside. After retiring he returned to compete at the 24 Hours of Le Mans in 1986 and his team earned a podium finish for Porsche. Sonoma Raceway Sears Point, a 12-turn, 2.52-mile natural terrain road course in the heart of California’s wine country, is an ideal venue for Follmer to lead the American road racing celebration. This area of the country boasts one the highest concentrations of collector vintage race car owners, with nearly 400 vintage race cars selected for the invitational with the Historic Trans-Am group as headliners. The Historic Trans-Am series is a loose-knit group of enthusiasts protecting the history of the sport’s classic era from 1966 to 1972. Their central credo is to preserve and protect the authenticity of the actual, documented cars, many of them once driven by some of the greatest American road racers in history. This was the era of the production-based “pony car,” revered by a wide swath of the American population, both young and old, who celebrate the “muscle car” genre. These historic Trans-Am machines stage their own competition contest. Among the entries are cars once driven by George Follmer and Parnelli Jones (Boss 302 Mustangs), Mark Donohue (Javelin and a pair of Camaros), Sam Posey (Dodge Challenger), and a Dan Gurney/Swede Savage Plymouth Barracuda. For further information, visit SVRA.com. Good old George.As good as anybody but never as famous as Foyt, Gurney or Andretti. Great memories of such outstanding era, I have slides taken during those races, in my files..